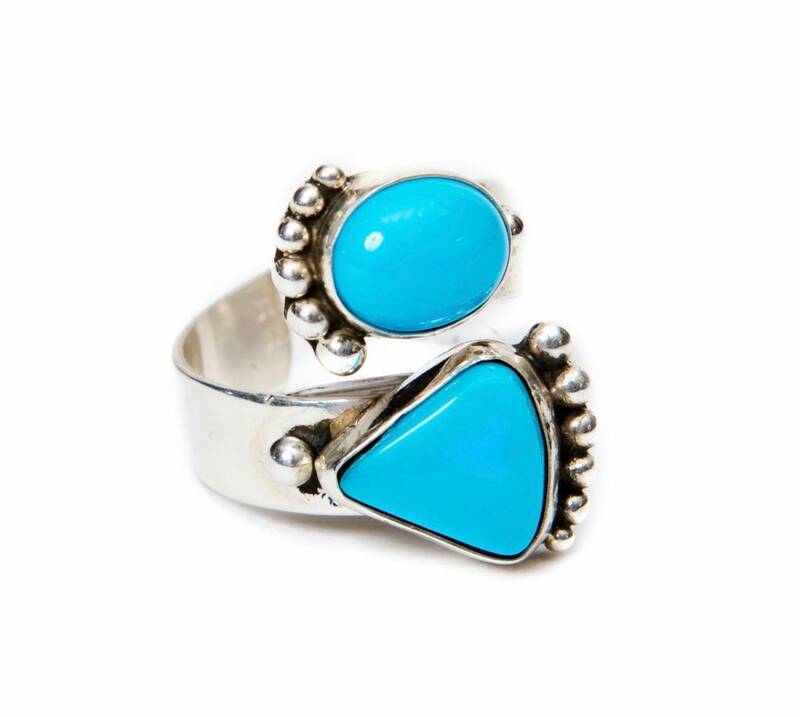 Home / 2 Stone Sleeping Beauty Turquoise Ring by Ruth Ann Begay (Navajo). 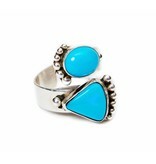 2 Stone Sleeping Beauty Turquoise Ring by Ruth Ann Begay (Navajo). Natural Sleeping Beauty Turquoise. Size 7. Sleeping Beauty turquoise is noted for its solid, light blue color with no matrix. The mine is now closed and prices have been rising dramatically. There is a stampede for all Sleeping Beauty. Click to read about Ruth Ann Begay.